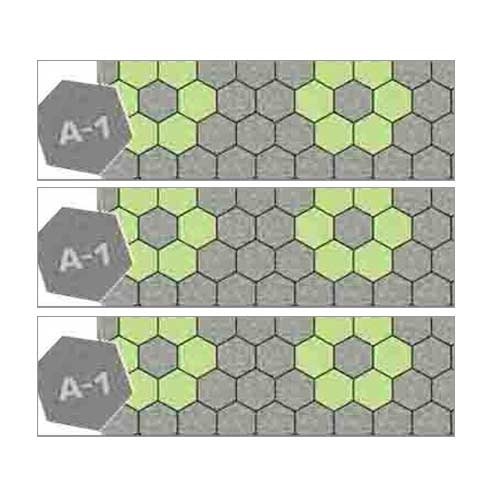 In order to understand the needs and requirements of our industry, we along with our team of skilled employees are engaged in precisely understanding the needs of our customers and thus manufacture an exact collection of Hexa Interlocking Paver . We process these products by making use of high grade quality approved components with the aid of cutting edge technology with utmost care. Our products are stringently tested under the strict vigilance of our quality controllers on well defined parameters. Area / Tile : 0.397 Sq. Ft.
100 Sq. Ft : 252 Pcs.